Below, you'll see a few sample images of an event David & Brenda covered in Charlotte. Please also see this page: Covering Charlotte NC: Corporate Event Photographer David Williams. My wife and I enjoy visiting the Ballantyne area of Charlotte. We particularly love staying at The Ballantyne Hotel and eating at Libretto's Pizzeria and Italian Kitchen. The Vine American Kitchen has some amazing key lime pie made in house. We have been visiting the Ballantyne area of Charlotte for several years as our mini-getaway from the Raleigh area. Now, it's time to mention something about corporate and charity event photography. Although we are located in the Raleigh area, Charlotte is an easy drive. We can provide photography event coverage including candids, formal shots, print on demand, green screen and photobooth services. 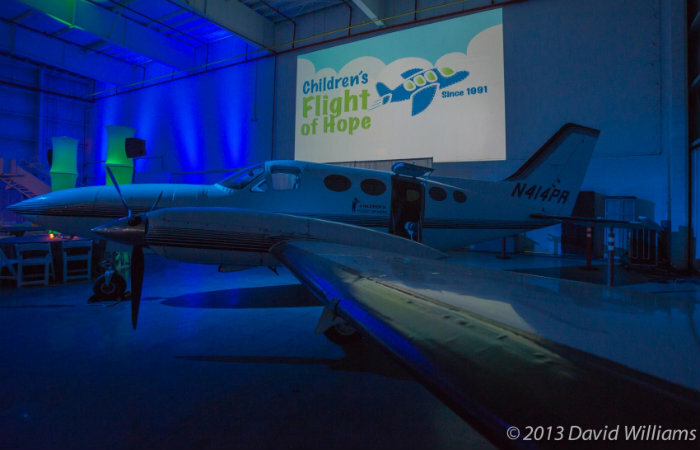 Our clientele includes multi-billion dollar international companies as well as charities like Children's Flight of Hope pictured on the right. Not only are we able to provide corporate and charity event photography in Charlotte, but we can also provide corporate photography for other needs as well as corporate video services. Are you in need of a Corporate or Charity Event Photographer and/or Videographer in the Charlotte Area? If you like our home page photography portfolio and our event photography page portfolio, please don't hesitate to use our online contact page.